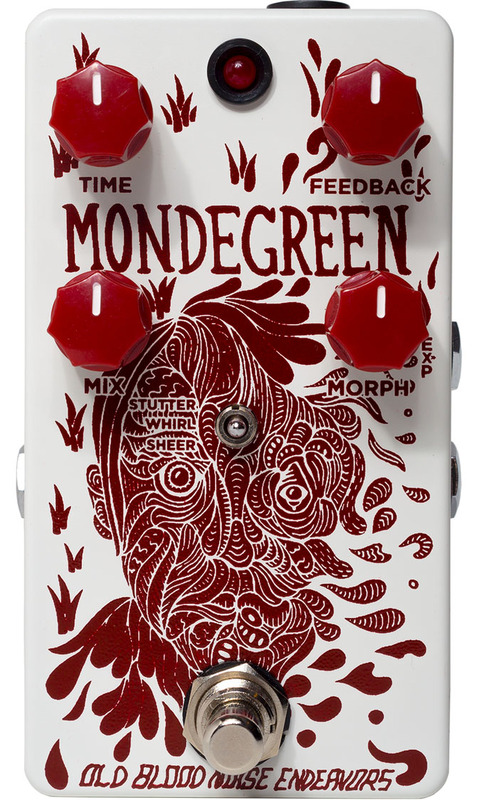 The Old Blood Noise Endeavors Mondegreen pedal is a digital delay bent on giving you something different than what you put in. It's delay. Into modulation. And it's weird. A three-way toggle switch selects between three modes of modulated delay.STUTTER: A delay with a percussive tremolo on the trails. WHIRL: A modulated delay adding chorus on the wet signal. SHEER: A delay with increasing octaves on the repeats.Perhaps it'll be strange enough in your hands. Perhaps they're underestimating your adventurous nature. You sly dog. Precocious Pup. Get out of here. Go get weird. 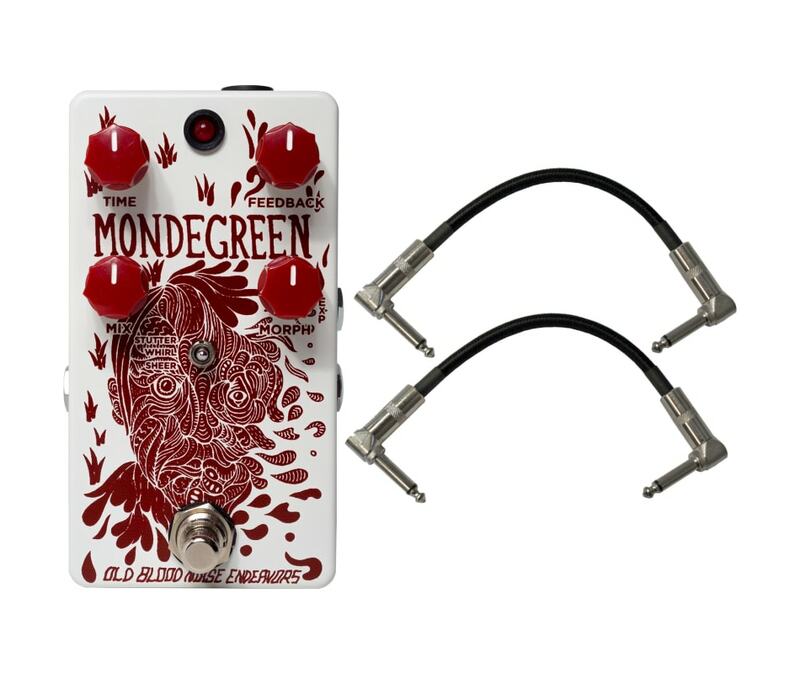 The Old Blood Noise Endeavors Mondegreen pedal is a digital delay bent on giving you something different than what you put in. It's delay. Into modulation. And it's weird. A three-way toggle switch selects between three modes of modulated delay. STUTTER: A delay with a percussive tremolo on the trails. WHIRL: A modulated delay adding chorus on the wet signal. SHEER: A delay with increasing octaves on the repeats. Perhaps it'll be strange enough in your hands. Perhaps they're underestimating your adventurous nature. You sly dog. Precocious Pup. Get out of here. Go get weird.